Taxes are the price that regular people pay for government spending. Whether that spending goes to things and services that people want, like road repairs, schools, fire and police protection, trash pickup, public parks, or to things that people don’t really want, like sports stadiums or excessively lavish pension benefits for bureaucrats, the bill for all these things is ultimately paid through taxes. 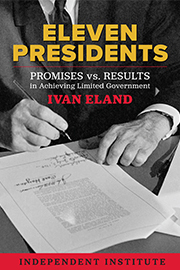 For most states in the United States, the primary means by which state governments take money from their residents is through income taxes. 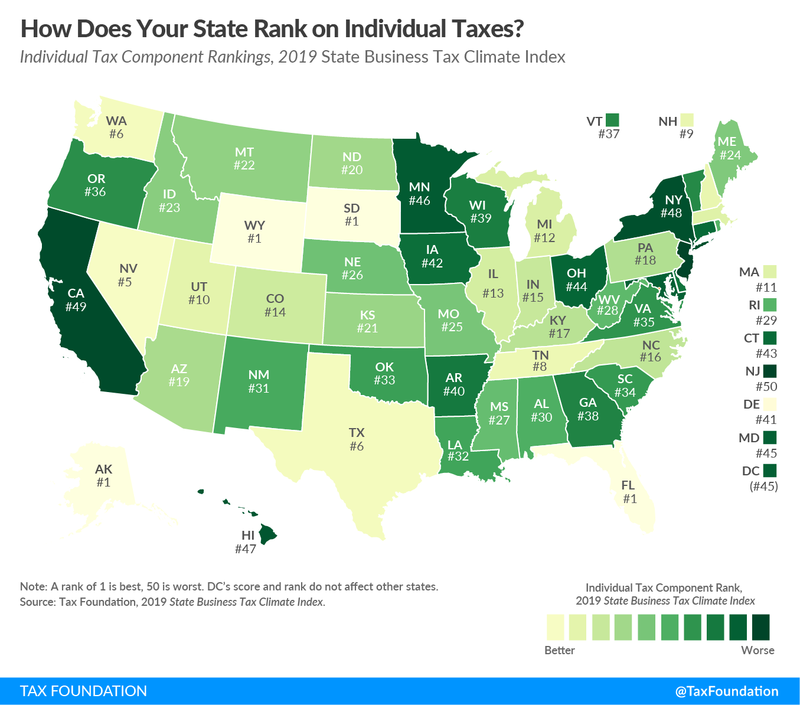 As part of its 2019 State Business Tax Climate Index, the 81-year-old nonpartisan Tax Foundation has ranked U.S. states according to their individual income tax burden, which is the heaviest-weighted component of their state business tax climate index. The following map shows where each state has ranked according to state income taxes going into 2019. That’s no joke. Just consider the case of New Jersey, where the state government has dug itself into a deep fiscal hole because of its excessive spending. In 2016, the departure of just one resident, hedge fund manager David Tepper, who relocated himself and his business to income tax-free Florida, created a fiscal crisis for the state government. Two years later, New Jersey responded to its worsening fiscal situation by raising its taxes on incomes and corporations in a bid to replace the tax revenues it lost when Tepper moved. Consequently, the state now ranks last overall in both the Tax Foundation’s 2019 individual income tax rankings and its state business tax climate index. There’s a real lesson to be learned here, but it’s questionable that New Jersey’s elected officials know what it is, because they also increased their spending by 8% in the same budget that imposed higher taxes on the state’s residents.